MySignals is a development platform for medical devices and eHealth applications.You can use MySignals to develop your eHealth web or even to add your own sensors to build new medical devices. 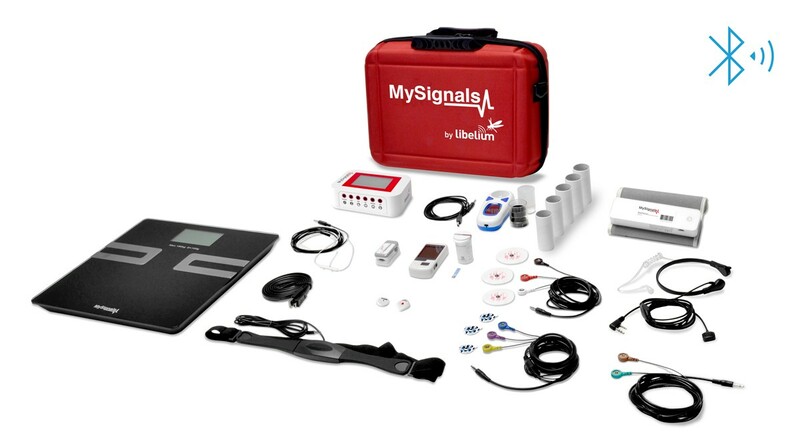 The MySignals SW BLE Complete Kit includes 17 sensors which can be used to monitor more than 20 biometric parameters. All the data gathered by MySignals is encrypted and sent to the user's private account at Libelium Cloud through WiFi or Bluetooth. The data can be visualized in a tablet or smart phone with Android or iPhone Apps. Watch the step by step Video Tutorials! Note: See the Cloud Storage Licenses here. MySignals is a development platform for medical devices and eHealth applications. 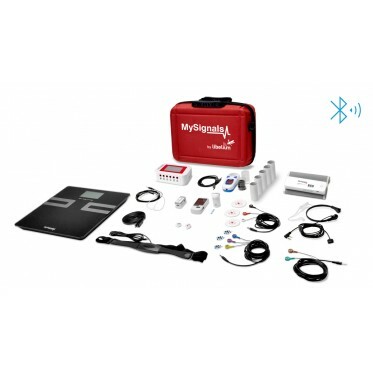 You can use MySignals to develop your eHealth web or even to add your own sensors to build new medical devices. The API Cloud allows to access to the user's private account and get the information previously stored to be visualized in a third party platform. (1) Once the package of glucometer strips is opened, it must be consumed within 3 months.